The title of my upcoming book on memory improvement is Remembering Willie Nelson: The Science of Memory Improvement. The title comes from the an incident where I could not recall the name of the great outlaw country singer. Milbourne Christopher’s Houdini: The Untold Story is also quite good and does include an expose of Arthur Ford. It has the advantage of being written from the perspective of an accomplished professional magician. 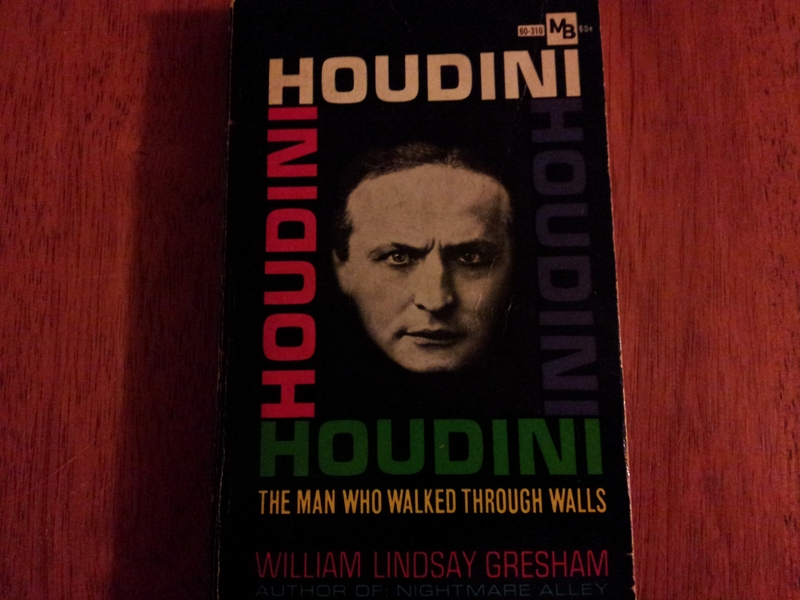 But my unquestioned favorite has always been William Lindsay Gresham‘s Houdini: The Man Who Walked Through Walls. The book is wonderfully written and coveys the excitement of Houdini’s career and performances. It includes a wonderful “opinionated bibliography” that I have always found a source of endless fascination. The book was written with the assistance of magician and escape artist James Randi. A central purpose of this blog is to help you use the science to improve your memory. Thus, it straddles the space between research and self help. There have been a number of people who have contributed to both memory scholarship and the self help literature on memory. My model here is the work of the couple Chesley and Morris Young. Chesley Virginia Barnes served as a cryptographer in World War II, She met Morris while they were both stationed in Naples. He was serving as an army physician. As a boy growing up in Lawrence, Massachusetts Morris Nathan Young saw Harry Houdini escape from a strait jacket while suspended upside from the tallest building in town. Young got to shake Houdini’s hand and developed a life long interest in magic. By age 17 Young was himself performing as a magician and his act impressed Houdini. Young studied at MIT as an undergraduate and earned a master’s degree in chemistry from Harvard. He later attended medical school. He chose his specialty, opthalmology, because of his interest in how the eye could be fooled by misdirection and sleight of hand. His friendship with and admiration of Houdini led Morris to become interest in body control in general and memory improvement in particular. 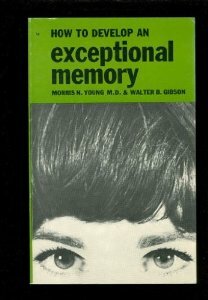 Both of the Youngs wrote popular memory improvement books. Morris Young also published an extensive scholarly bibliography on memory. They amassed one of the largest collections of books and pamphlets on memory, which was eventually donated to the University of San Marino. Their writings blended insights from the practical experience of memory improvement techniques and from the scientific literature on memory. This blog tries to follow their example.